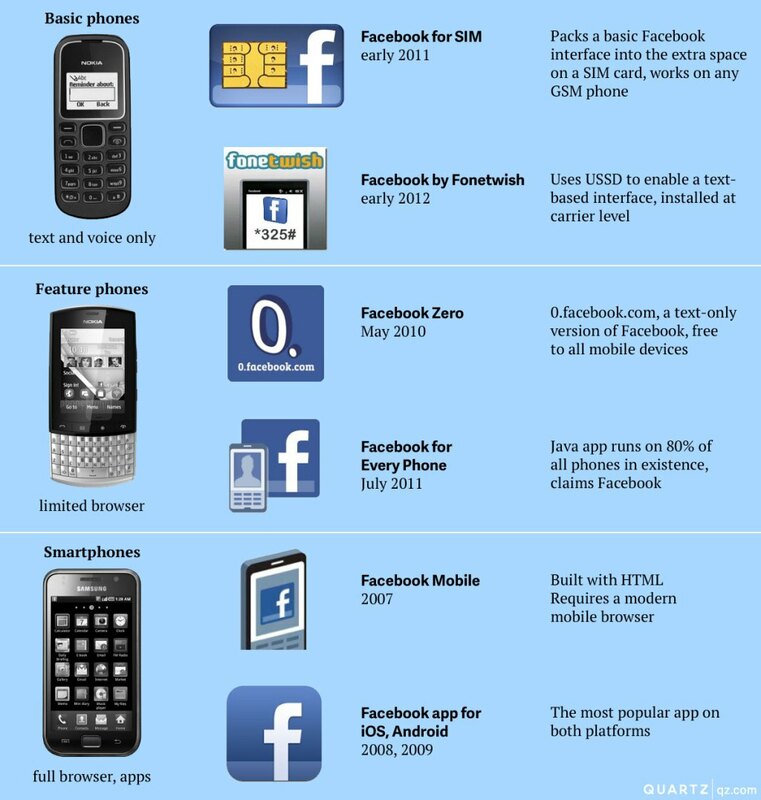 These two examples (but also Facebook for SIM) show how Facebook gains mobile users, especially in countries where smartphones and dataplans are expensive and unavailable. Leighton Evans explains how 7 million mobile users have a different Facebook experience than I have, using the web-based interface, and how their commoditization is different by locking in traceable users with free airtime). The various ways in which Facebook expands its infrastructure into the material infrastructure of mobile providers requires a different political economy of mobile social media by looking into the materiality of mobile phones. The above-mentioned mobile interfaces add an interesting dynamic to what we have described as the Like Economy by expanding its platform into the material infrastructure of mobile operators.